T.C.U.P. 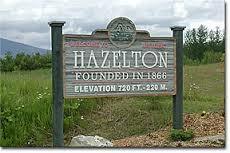 has the fortune of being located in Hazelton, British Columbia. A town that some would say is the best place on earth. Hazelton is surrounded by mountains and sits at the convergence of the Bulkley and Skeena Rivers. Hazelton has long been home to the Gitxsan Nation.